When Joan Stanley (Judi Dench), a widowed former librarian, is plucked from her mock tudor house by grumpy police officers and charged with spying for the Soviet Union, her barrister son (Ben Miles) is suitably outraged. Yes, she drinks tea from a Che Guevara mug, but surely dear old mum isn’t a commie? But as he, and unfortunately us, trace Joan’s transition from English Rose undergraduate to post-war beans spiller extraordinaire, the truth behind the pensioner’s past puts his loyalties to the test. 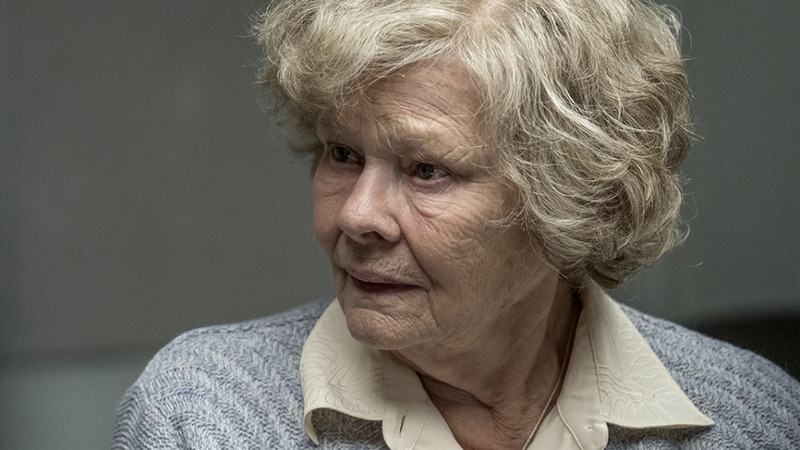 Dramatic as this sounds, Trevor Nunn’s Red Joan tells the story of the KGB’s longest serving spy with all the urgency and drama of an episode of Nationwide. Indeed, it is clear from the outset that Red Joan is keen to avoid anything as distasteful as grim reality. In flashbacks to a sterile looking pre-war Cambridge, we meet young Joan (haughty Sophie Cookson). She is befriended by Sonya (Tereza Srbova), who we know is foreign because she wears lipstick, and introduced to the movies of Sergei Eisenstein at the leftie college movie society. It is there she meets dishy communist Leo, who is so far left-leaning it’s a surprise that he can stand up long enough to sing The Red Flag. Their relationship is stormy and it is soon apparent that the pesky Ruskies are only after one thing. Before you can say Gulag Archipelago, Joan is busying herself microfilming all sorts of state secrets. Meanwhile, back in the year 2000, older Joan takes comfort in knowing that at least she probably won’t live long enough to have to worry about Brexit. John Le Carre this is not. Never rising above the level of TV drama (from the days when TV dramas were of the level of Red Joan), Trevor Nunn’s tepid film zips along quickly enough and is forgotten as soon as the lights go up. Judi Dench is always worth watching, but she is un-ably supported by a cast that is at best theatrical, and at worst plain hammy. Tom Hughes is the most unconvincing Russian since Sean Connery in The Hunt For Red October, so much so that I became convinced that he was actually playing an English double-agent and would turn up wearing a bowler hat in the final reel. Although based on the true story of Melita Norwood, a committed communist, Joan is not a communist sympathiser and her motivations for betraying her country and endangering her life and the lives of those around her, are manufactured to presumably suit the tastes of a modern audience in tune to the horrors of Stalin’s Russia. That Nunn and screenwriter Lindsay Shapiro believe we could never sympathise with a communist spy betrays the middle of the road ambitions for this film. The extraordinary stories of the Cambridge Five and Norwood are the stuff of high drama, and deserving of better film treatment than this ordinary attempt. On some rainy Sunday, when you are feeling delicate and don’t want anything too intrusive or taxing on the brain, Red Joan will come on television, and this is where its plastic past and low ambitions will just about do. The big screen can only magnify the two dimensionality of this superficial drama.